Buzzer...you made me laugh talking about how if it's 60...or god forbid, 50...in the South we do not venture outside. People "up north" do not understand that 60 in the South is way, wayyyyy colder than 60 up there. True! Glad our Northeastern board members are ok and the storm sort of petered out from Armageddon forecasts. 1978? 1969? I remember reading about those years in history books. In 1969, my father hasn't met my mother yet...and in 1978, he just proposed to her. Here in rural Pennsylvania, we called Snowmageddon "a little bit of weather." In Colorado, we called snowmageddon "a rain mixed with snow." To drown the outcry of the HEART!" Growing up in Buffalo we had those kinds of snow storms on an annual basis.that was long before TV and the panic driven meteorologists making everyone pee their pantaloons. I walked to school thru many feet of snow (no school buses back then). If the teachers couldn't make it we'd plod thru the snow back home, change our clothesh and head for Delaware Park with our sleds. Today, living in the South, if it drops below 65 degrees, or rains, I'm in for the day. Snow was fun years (many) ago, but I've had my fill. The former judge from South Carolina and the Burro from Acapulco were born before snow plow was invented. Well, well. It turns out Elf and I lived in the same neck of the woods, back in the day. Which super market was this? I don't remember that part. In January 1969 I was in the last semester at Babson in Wellesley. I had an apartment with other students at the outskirts of Framingham in Worcester Rd. about 20 minutes from Babson. 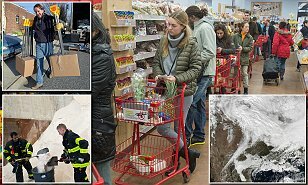 I do not recall the name of the super market and the incident got little coverage as the snow storm was severe and the media concentrated on other major incidents. I was aware about the collapse of the roof because the super market was a block away. I left that "neck of the woods" in June and returned to Mexico. A lot great memories from that stage. dangerbob: I don't recall snow plows at that time, I do recall muscle sores from shoveling snow all day. And there was no tequila or Corona beers to mitigate the soreness afterwards. But there was plenty of "gringas"
I was aware about the collapse of the roof because the super market was a block away. Was that the same roof that fell on your head, Elfo...that made you coco? Last edited by dangerbob; 01-31-2015 at 12:22 PM. 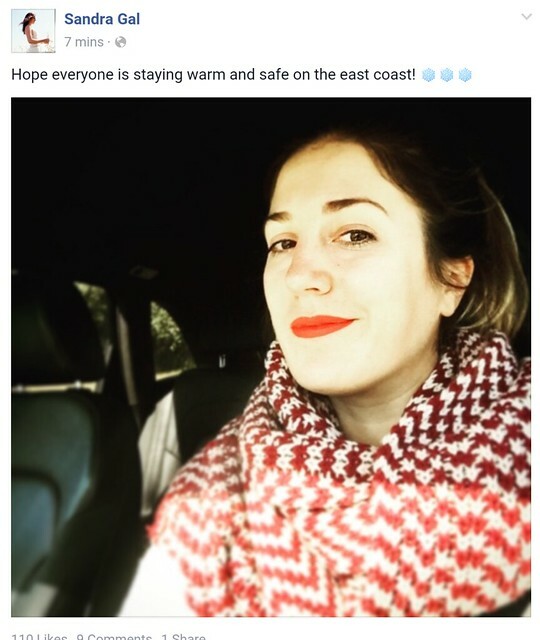 Be safe all my fellow posters...or in my case, poser...but seriously, stay warm and safe and indoors and well stocked...it's probably not going to be that bad here in the NYC area..."just" 8 inches...but for others, it could be very bad. Last edited by bangkokbobby; 01-22-2016 at 09:06 PM. Good Call. Must be almost 8 inches now with the whole day to go. Well at least I picked up a nice steak yesterday for dinner tonight and plan a V marathon today. Remember that show. I more week to go for the start of the season.